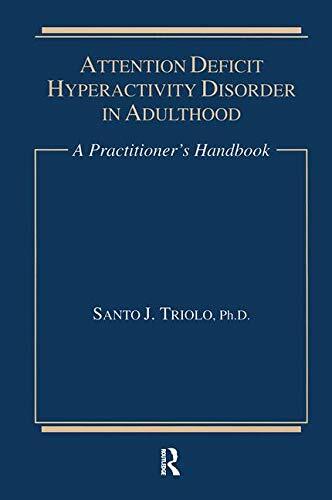 Amazon.com description: Product Description: Most clinicians rely on only an interview to diagnose ADHD in adults. With the recent media "overkill" about ADHD, more and more patients have already read numerous articles and books about the topic making it even harder for practitioners to differentiate between symptoms due to ADHD and symptoms of a hypersensitive patient. As a result, the clinician should no longer rely on just an interview but a more sphoisticated and reliable method. About: Most clinicians rely on only an interview to diagnose ADHD in adults.